2018 Berkeley summer course in mining and modeling neuroscience data. The course is described below and here: crcns-2018-course.pdf. The online application is at: https://crcns.org/course/apply.php. 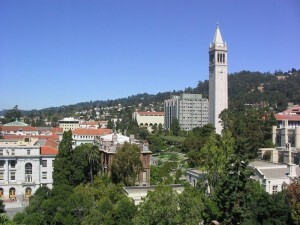 Berkeley summer course in mining and modeling neuroscience data. This course is for students and researchers with backgrounds in mathematics and computational sciences who are interested in applying their skills toward problems in neuroscience. It will introduce the major open questions of neuroscience and teach state-of–the-art techniques for analyzing and modeling neuroscience data sets. The course is designed for students at the graduate level and researchers with background in a quantitative field such as engineering, mathematics, physics or computer science who may or may not have a specific neuroscience background. The goal of this summer course is to help researchers find new exciting research areas and at the same time to strengthen quantitative expertise in the field of neuroscience. The course is sponsored by the National Institute of Health, the National Science Foundation from a grant supporting activities at the data sharing repository CRCNS.org, and the Helen Wills Neuroscience Institute. The course is “hands on” in that it will include exercises in how to use and modify existing software tools and apply them to data sets, such as those available in the CRCNS.org repository. Fritz Sommer and Jeff Teeters, Redwood Center for Theoretical Neuroscience. To complement the main course instruction there will be lectures in the evenings by local Berkeley and UCSF neuroscientists presenting their research using quantitative approaches. Applicants should be familiar with linear algebra, probability, differential and integral calculus and have some experience using MatLab and Python. Each student must bring a laptop with both MatLab and Python installed. There is no cost to attend. Non-local attendees will be reimbursed for economy travel expenses (up to a maximum of $500 domestic, $600 foreign) and will have most meals provided. Rooms in the University dorms will be provided for those non-local attendees who need accommodations. Most dorm rooms are double occupancy (shared). Almost all meals will be provided to non-local attendees and some meals will be provided to local attendees. To apply, submit the online form http://crcns.org/course/apply.php. A curriculum vitae and a letter of recommendation are required. The course is limited to 25 students. Applications must be received by April 20. Notifications of acceptance will be given by May 15. Questions about the course can be sent to course [at] crcns.org.